Punta Prima is a tourist hotspot. 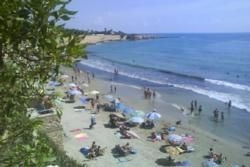 The beach is 234 metres by 28 metres and is a popular choice with families and couples alike. 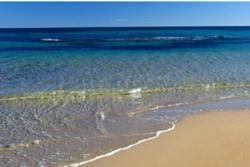 They come for the golden sand, Blue Flag award, quality services, fine restaurants, easy access and the clear, calm waters. 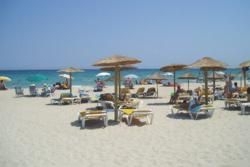 Playa Flamenca is one of Orihuela's more vibrant resorts. Development started in the 1980s and the area soon became a bustling and popular seaside resort. Families like it because they can rent a holiday apartment or villa close to the beach. The golden sands, promenade, playground and restaurants have made it a firm favourite with discerning holidaymakers. There are plenty of bars, restaurants and shops plus a weekly street market. Hotels and three golf courses are nearby. 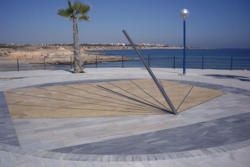 La Zenia is a lovely beach resort and a popular holiday choice because of its Blue Flag sandy beach, water sports, restaurants, hotels and holiday villas. The promenade is lined with bars, restaurants and cafes offering a range of regional and international dishes, cocktails, cool beers and fine wines. It is a popular choice for families as the water parks in Torrevieja, Santa Pola and Rojales are within easy reach. The crystal clear waters are perfect for fishing, diving, waterskiing and jetskiing. This lovely beach resort boasts a picturesque marina, fine restaurants and bars, plus 420 metres of beach where you can sit back and enjoy the view. There are many water sports on offer. It is a beautiful location and perfect for a relaxing break. After a day at sea or on the beach, a delicious meal awaits you in one of the numerous restaurants. 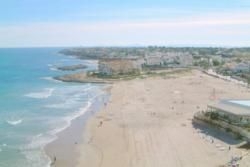 Dehesa de Campoamor has one of the longest beaches in this region, which stretches 650 metres with an average width of 20 metres. Pick your spot on the sandy beach and marvel at the views across the Mediterranean. It has been called a green oasis in the Med and is a perfect spot to unwind. Many fine restaurants, bars, shops and supermarkets have made their home here. The region's cuisine with its famous rice, fish and shellfish dishes play a prominent part in many chefs' repertoires. The water is crystal clear which has made it a magnet for divers and snorkellers. There are also three golf courses nearby which makes it a perfect place for a golf-and-beach holiday. There are plenty of holiday apartments and villas for rent as well as hotels and another hotel on the Campoamor golf complex. 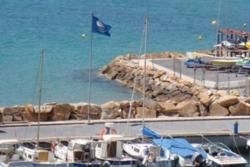 Another lovely, sandy Blue Flag beach with plenty of restaurants, bars and shops geared up for holidaymakers. The market is held every Tuesday and sells fresh, locally-produced fruit and vegetables, handicrafts, clothes and souvenirs. Mil Palmeras is popular with Spanish tourists and holidaymakers from all over Europe who take advantage of its close proximity to Murcia and Alicante airports.